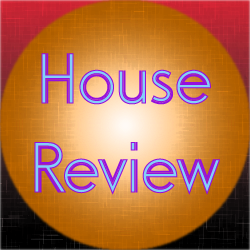 This review covers the progressive electro house track Al Bizarre – Ice Jump. This particular track was released in 2012. What’s noticeable is that this track completely separates the progressive house portion and the electro house elements. It sort of flips back and forth between the two which is an interesting way of handling blending progressive house and electro house together. There’s no shortage of tracks I really dislike that simply blends a whole bunch of different sounds of bass together. I’ve heard enough dubstep tracks like that and I can honestly say I can never find myself really getting into that sort of style personally. So, while this track kind of goes along with that kind of idea, there’s a real rhythm that goes on throughout which allows a lot of these electro sounds to make more sense to me musically. The inclusion of the progressive portions, I felt, made this track much more approachable to the average listener. These portions also broke up this track along the way which nicely gives this track variety. So, thumbs up on those portions. This track, I found, sort of grows on you. On the first listen, I was thinking about giving this a 6 or a 6.5, but after a few listens, this track makes me want to score this higher. So, I would consider this a very good track all around.